There are likely hundreds of blog posts out there on this very topic. 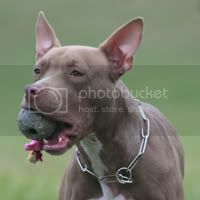 The death of a dog killed by the stupidity of legislation that targeted an animal solely based on the physical characteristics set forth to be deemed ‘dangerous.’ Lennox was held for two years after being seized by local animal control officials for fitting the description of a ‘pit bull-type dog’ – which is illegal in Northern Ireland – and euthanized after a hard fought battle by his family. During his incarceration, photographs of severe neglect surfaced and showed the suffering that he was enduring at the hands of ‘humane’ officials. His family was denied one last chance to see him before his imminent destruction. Those same city officials also denied the family the ability to reclaim his body or his collar (something their daughter wanted as a memento of her dog). Many offered safe passage as an alternative to death and were denied. 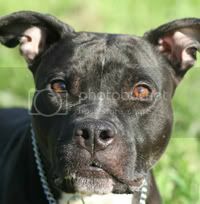 In short order, the Belfast City Council simply wanted to kill Lennox because he ‘could have been’ a pit bull – even if he had done absolutely nothing in the five years the family had raised, vetted, neutered, licensed and cared for this dog. Breed Specific Legislation does little more than kill dogs who have done nothing wrong. 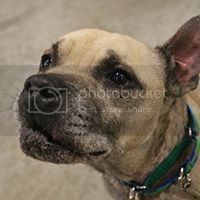 The dogs seized for being ‘prohibited’ animals are, more often than not, owned and cared for my responsible homes that socialize, train and manage their animals so that they are not a nuisance to the public. In the same token, families are ripped apart as their furry family member is taken, and often killed, in the name of public safety. 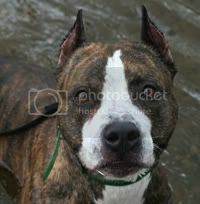 It has been proven time and time again that breed bans do not work. 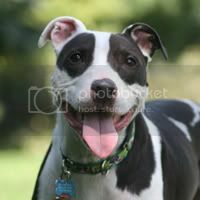 While pit bull bites may drop drastically in number, the numbers of other breeds and mixes typically go on a drastic incline. While the legislation may look absolutely bomb-proof on paper, the consequences are abhorrent. Innocent lives are extinguished for nothing more than piece of mind. “So what if a few dogs die,” the proponents of the legislation often say, but it does matter. It will always matter. 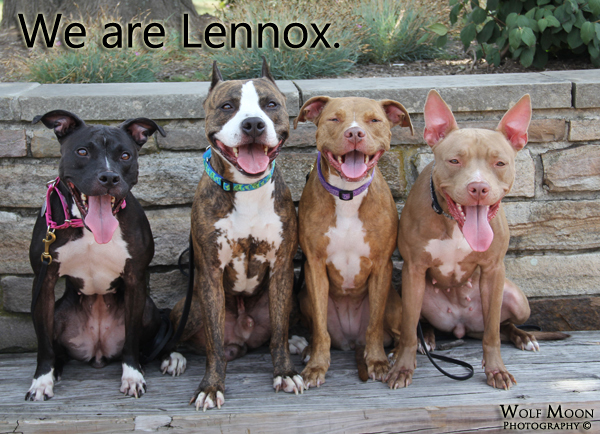 If enough people sing from the roof tops about the injustices suffered by Lennox and other dogs who have died for being ‘pit bulls’ we may finally have a case to show that it isn’t just ‘pit bull people’ that care about this subject…it’s the world. 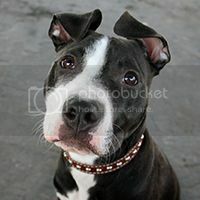 With hope, Lennox’s death will not be in vain and legislative bodies across the globe will see the outpouring of effort by all animal lovers for non-breed discriminatory legislation and stiffer penalties for individuals who choose to be irresponsible with their furry, scaled or feathered family members. For now we stand in solidarity and hold true to the memory of Lennox and the thousands of other dogs who have died because some government body said that they were inherently dangerous. Today it was Lennox. Who will it be tomorrow? Who will they come for next? 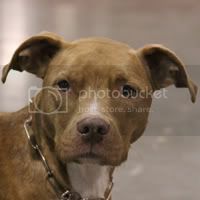 This entry was posted in Breed Specific Legislation and tagged apbt, breed specific legislation, bsl, dogs, lennox, photos, pit bull on July 13, 2012 by ShadowWolf.